Whether you're mastering your own tracks in your own DAW, or simply preparing a mix for mastering by a professional engineer, these tried and true techniques and suggestions will help to ensure pro quality results. For more on mastering in the box, pick up the April 2018 edition of Future Music. 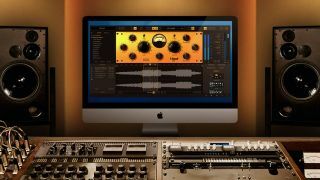 You definitely shouldn’t bombard a mastering engineer with dozens of files, but they won’t have access to individual mix elements like you do, so it can help to supply a couple of alternative premaster files. Perhaps you’re unsure about the level of your lead vocal, in which case, render out two versions: one with a slightly louder vocal than the other. Similarly, you might quite like the glue your master bus compression is giving the overall mix, so send a bounce with that on, and another with the compressor deactivated, just in case. Label the files you supply and give them some options to work with. After spending time on a mixdown, you’ll have heard the track hundreds of times. If you’re determined to master that track yourself, reset your objectivity by leaving a decent chunk of time until the mastering stage. Your sanity will thank you! It’s not the most exciting part of the production process, but you should nevertheless be aware of practicalities when it comes to the mastering engineer’s process of applying fade-ins and fade-outs, referred to as ‘topping-and-tailing’. As a rule, you should leave a second or two of silence before the first element of the track starts, as well as a decent bit of silence after the final sound has disappeared at the end. That’s why, in your DAW, it can be useful to begin tracks on, say, bar 4. Always give yourself the ability to A/B between various settings, track versions and references with a single button click. That way, you can close your eyes and instantly make comparisons. Unlike traditional mastering, where the engineer works with your single stereo premaster file, the process of stem mastering is a distinct job that involves both mixing and mastering. By bouncing out multiple audio stems from your mix project, the engineer can not only master the overall mix as normal, but also tweak and process each stem individually. This gives them more control over the end result. When bouncing categories of sounds from your project, group them in related frequency groups. Also, be sure to bake aux return effects in with the correct stems, not separately - this is still mastering, not multitrack mixing. With every mastering move you make, religiously use makeup gain to re-level the processed signal to the same perceived volume as the bypassed signal. Trust your ears for this, not meters! When it comes to gain staging and setting levels within a mix, there’s lots of contrasting advice. Some say keep your master bus peaking at no more than -6dB… others say it doesn’t matter. So, do you need to turn all your mix channels down in the project before bouncing out a premaster? Well, all DAWs operate at 32-bit or 64-bit floating point: don’t worry if your individual tracks and buses are hitting into the red. The master bus will clip and distort when overloaded - but if so, simply turn all the separate faders down or load a utility plugin first in the master chain, then back the overall level down by the desired amount. After asking several pro mastering engineers, we’ve found that an optimum range for your premaster level is around a max of -3dBFS for the loudest peaks. Many pro mastering engineers try out multiple processors of a given type to find the best one for the source material in question. Don’t be afraid to do the same, and try out as many plugins as you need to in the search for the most suitable treatment. Once a mastering engineer sends you back a ‘finished’ master, they’ll usually give you a chance to request changes. They’re only human, and this lets you ensure that your track, EP or album sounds exactly as you want. Line up the submitted master/s in your DAW, and place reference songs (from similar genres) on other tracks. Now solo each in turn. You may need to tweak the volume of some of the tracks to get them all equal. Listen for level discrepancy, overall tonal balance, stereo width, peak distortion, and anything else that seems out of place. If you’d like changes to be applied, make a list and request them!